The Metropolitan Police have launched a ‘lock before you leave’ campaign urging Londoners to consider their home security by locking their doors and windows when leaving their homes. The campaign is in response to recent statistics that reveal over 5,000 homes were broken into last year by burglars simply walking through unlocked front doors. Police say that many people forget to lock up properly, leaving their their property vulnerable to burglary. It’s an easy thing to do, especially if you’re in a hurry, but it does make a burglar’s job much easier. Figures showed that 13% of all burglaries were ‘walk-ins’ and in 64% of these cases, criminals had got in through the front door. By failing to pay attention to security, you’ll not only risk burglary, you’ll also risk invalidating your home insurance. If there is no evidence of a forced entry and it appears a burglar strolled in through an unlocked door – your insurer may refuse to meet your claim. They might say you failed to take appropriate measures to properly secure the property and therefore deem your policy invalid. If in doubt, check the details to see what conditions apply. Security is an important factor for insurance providers, as it helps them determine how likely you are to make a claim. With this in mind, being vigilant and installing good security features might result in lower premiums. Multi-point locking systems on all windows and doors are often looked upon favourably by insurers, as are burglar alarms. The Met’s anti-burglary campaign, Operation Bumblebee, has helped cut the number of break-ins by 10% since last April. Unfortunately, London figures still remain high, with over 60,000 burglaries happening each year in the capital. To help prevent break-ins, Operation Bumblebee declares, ‘to stop a burglar, you have to think like one.’ Most burglaries are opportunist crimes, so it’s important to make your home seem an unappealing proposition. Lock all windows, doors and side gates when leaving your property – even if just for a few minutes. Don’t leave garden tools or ladders in an accessible place. They could be used to force entry. Make your home look occupied with timers on your lights. Ask a neighbour to check on your home if you’re away. 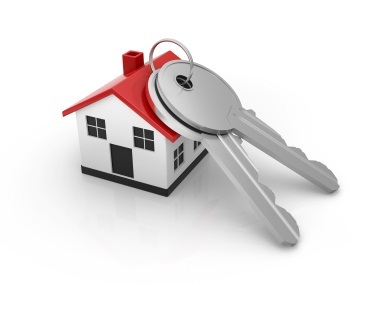 Check your home insurance policy, as some won’t cover you if you leave the property unoccupied for more than 30 days. If possible, keep valuables out of sight.Try to ensure they are away from the view of windows. Help prevent a ‘letterbox burglary’ by keeping keys away from the door.